Nursing home abuse has become a nationwide problem that society must address. In Delaware alone, over 46 percent of residents in nursing homes were the victims of actual harm in 2008. This study, conducted by the University of California-San Francisco, also reveals that problems with unsanitary food, poor quality or care, insufficient staffing, incomplete care plans, development of bed sores and outbreak of infections are also rampant throughout Delaware. It is important for family members to be aware that these problems are common in nursing homes so that they can protect loved ones if necessary. Family members who are concerned that their loved ones are the victims of abuse or neglect can get in touch with a Delaware elder abuse attorney for help with their legal issues. According the information collected by Medicare, ten (22%) of the 45 nursing homes in Delaware have been found to have serious violations and deficiencies by investigators. Their substandard treatment of residents now deems these Delaware nursing homes as being below average compared to national statistics. 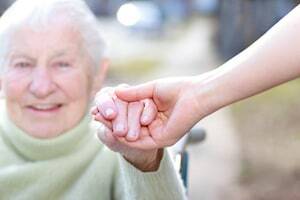 If your loved one was mistreated, abused, injured or died prematurely from neglect while residing at a Delaware nursing facility, we encourage you to contact the Delaware nursing home abuse & neglect lawyers at Nursing Home Law Center to discuss a claim for compensation during a free case evaluation. Let us begin working on your case today. In addition, family members should also get in touch with a nursing home lawyer if a loved one has suffered an injury in an accident environment. 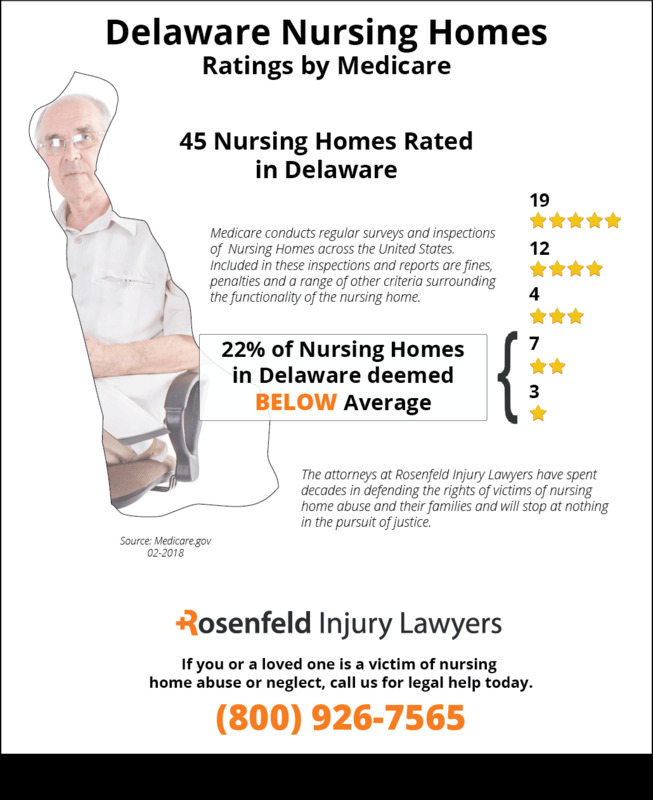 Over 80 percent of Delaware nursing homes were discovered to have deficiencies in having an accident-prone environment in 2008. Accident-prone environments in nursing homes occur when liquid is left on the floor, objects are in the hallways, staff members are improperly trained for transitions and equipment is broken. Nursing home facilities are subject to strict regulations under 16 Delaware Code, Chapter 25. Under Chapter 25, a nursing home facility must provide proper assistance in daily activities that include transferring the patient, physical therapy services, bathing, eating, toileting, grooming and dressing. When staff members fail to provide these essential services to residents, neglect or abuse results. A resident can suffer from dehydration or malnutrition when he or she does not receive proper meals. A resident can suffer from severe injuries when physical or chemical restraints are used to control the resident. Title 31, Chapter 39 “Adult Protective Services,” of the Delaware Code also provides for the protection of nursing home residents. Under §3902, abuse has been defined to mean behavior that causes pain or injury to nursing home residents or emotional abuse that demeans residents. 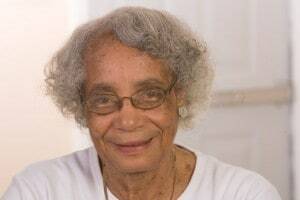 Exploitation refers to the improper use of a vulnerable nursing home resident for profit or another advantage. If a nursing home resident is being abused, then he or she has the right to receive protective services in Delaware. These protective services include an investigation of his or her case, psychiatric evaluation, assistance in obtaining new and proper care, transportation, home visits, and food and shelter provisions. The rights of nursing home residents have also been clearly articulated under federal law. The Nursing Home Reform Act of 1987 provides that nursing homes have the right to be free of chemical or physical restraints, free from abuse or neglect, right to communicate freely, right to be treated with dignity, right to privacy. When these rights are violated by nursing home staff members, residents are entitled to receive civil monetary damages. In addition, nursing homes may face sanctions that include denial of Medicare or Medicaid admissions. Nursing homes may also have their provider agreements terminated. Every Delaware nursing home resident has the right to be treated with care and respect. If a resident is not treated with this care and becomes the victim of abuse, then family members or workers have a duty to report the abuse to authorities. Under the Delaware Code, §3910 codifies the duty to report that workers in the nursing home have when they notice signs of abuse and neglect. A Delaware elder abuse attorney will be a strong advocate in aggressively investigating your nursing home abuse claim today. In many incidences, moving a loved one to a nursing facility is the only option for the family. However, placing their care in the hands of the nursing home requires a high level of trust in the doctors, nurses and nursing aides. It is their hope that the medical professionals will take every action necessary to ensure that the patient remains healthy. The family must believe that the care provided by the staff will not worsen their loved one’s condition, such as developing a pressure ulcer (bedsore; decubitus ulcer; pressure sore). Pressure ulcers are common occurrences for any individual who is bedridden or bound to a wheelchair and unable to readjust their position on their own. Any pressure on the skin for an extended period can easily limit the amount of oxygenated blood flow to the skin. In just a few hours of oxygen deprivation, the skin can quickly begin to die or become physically damaged beyond repair. The decubitus ulcer usually begins to form as a reddened area and/or blister. The skin is often significantly softer or firmer than the tissue in surrounding areas, and can be tender to the touch. In its early stage, simply relieving the pressure is normally all that is required to allow oxygen to return to the area and begin the healing process. However, advanced stages can be life threatening when severe ulceration and infection occur. Families must believe that the staff will do everything possible to provide quality care around-the-clock, following procedures, protocols and treatments to optimize the health of their loved one and improve their quality of living. However, detecting a pressure ulcer is often an early indicator that the nursing home healthcare professionals are negligent in performing their duties. If the medical staff does not provide adequate treatment, the decubitus ulcer can become significantly worse. In its advanced stages (Stage III & IV), the sore can become permanently damaged, especially when bone, muscle tissue and tendons are exposed. Without proper antibiotics, osteomyelitis (bone infection) and/or sepsis (blood infection) can quickly take the life of the patient. Many times families are angered at the thought that the nursing staff would be so negligent as to cause their loved one to suffer pain and injury from a bedsore. They understand that had the nurses and nursing aides implemented routine checks on their loved one skin, the sore could have been detected before it became a debilitating condition. 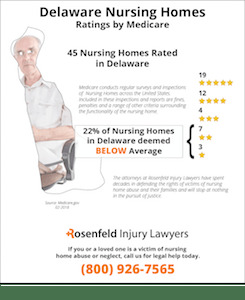 Typically, their only remedy is to take legal steps by hiring a Delaware pressure ulcer attorney to stop the neglect. If you are suspicious that your loved one’s pressure ulcer is the result of neglect or abuse by the nursing home staff, it is essential to fill out the form here to contact the professionals listed below. Scheduling a no-cost confidential consultation is the first step in stopping the abuse of your loved one to begin their healing process also begins here by contacting Nursing Home Law Center LLC today for your free case evaluation.